If there’s one thing I can’t get enough of it’s the gorgeous supernovae remnant photos. The cosmos sculpts magnificent scenes from hundreds or hundred of thousands light years away from Earth. The beautiful image you see here is our friend called the Vela Supernova Remnant, located 800 light years away from Earth. This remnant exploded about 11,000 – 12,300 years ago. To give you some context 11,000 years ago on Earth was the emergence of the oldest city still around today called Jericho. Humans who settled there may have been able to see this supernova in the sky. The gorgeous filaments you see here are traces of expanding shockwaves in the X-ray wavelength. As these gasses of elements such as hydrogen and oxygen fly away from the detonated star, they smash into each other and eventually form into young stars. The blue points of light in the photo are the result of these young stars. What was left over is an incredibly dense Vela Pulsar. Pulsars are incredibly deadly and if you want to read a little more about why they are such an intense force of nature my article here may be a good place to start. 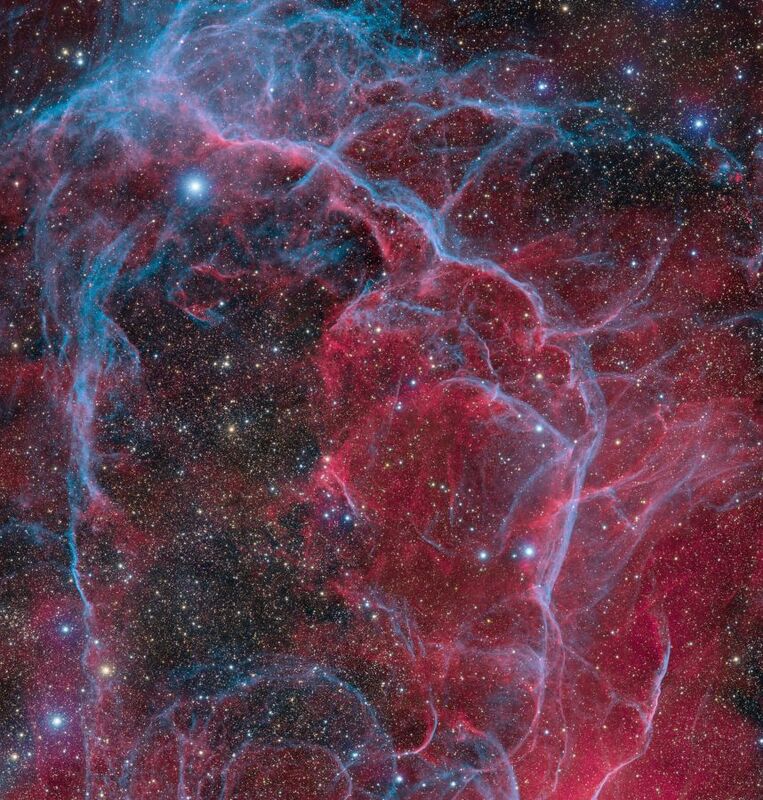 Here’s a close up of the Vela Supernova remnant from the top center of the first image. If you follow it down to the brightest star you’ll see the similar bow shape. 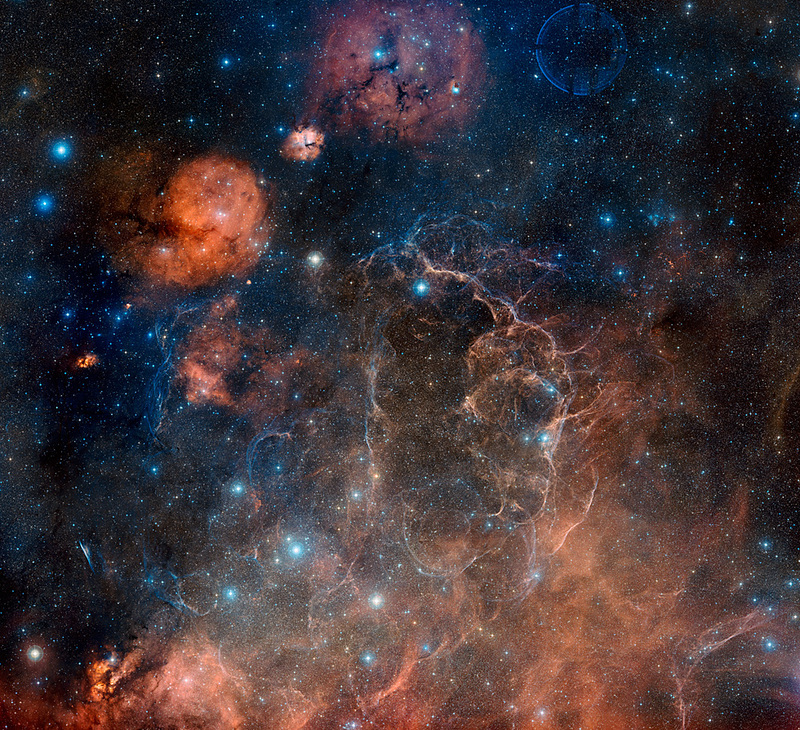 Let's take a look at the beautiful Vela Supernova Remnant. There's a lot more happening than you think.